Suitable for lounging at home. 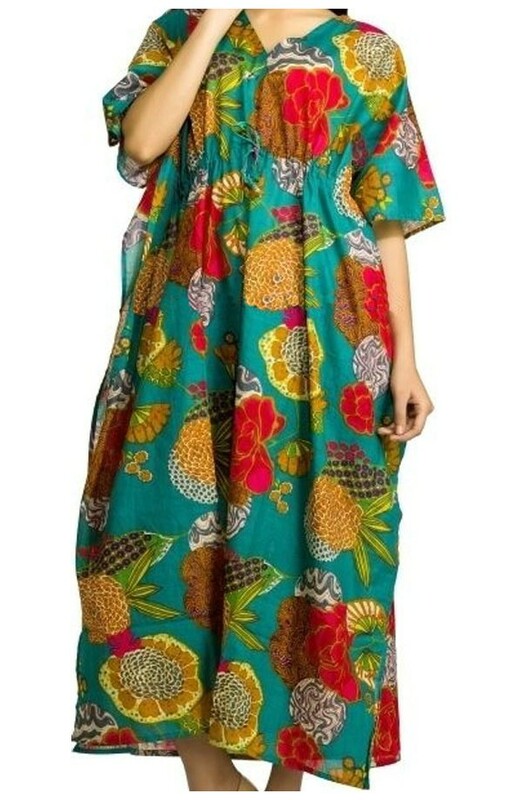 Can be worn as a maxi-dress. 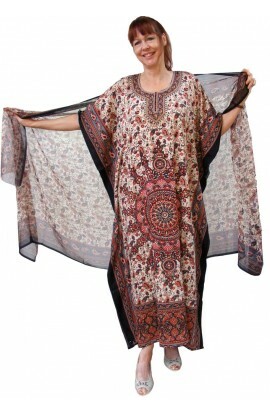 It is cut in the classical oblong kaftan shape with side flap. Pull up ties are threaded around under the bust level to whatever size fits you. The tie tapes are removable and the kaftan can be worn straight if required.